Excerpts premiered at Dixon Place (duet, October 2015), Movement Research's Open Performance (trio, December 2015), WAXworks Showcase (trio, January 2016) and Green Space (duet, February 2016). Performed by Kristin Clotfelter, Fana Fraser, Emma Hoette and Zoe Rabinowitz Music by Galen Bremer, with editing of songs by The Carpenters, C. Henry Woods Troupe and Van McCoy. Pulling from sources as varied as quantum physics, David Mamet’s Glengarry Glen Ross, and disco music, and inspired by 1970s New York City, THEN, THERE WERE uses formal compositions and structured improvisations that unravel into surreal situations. 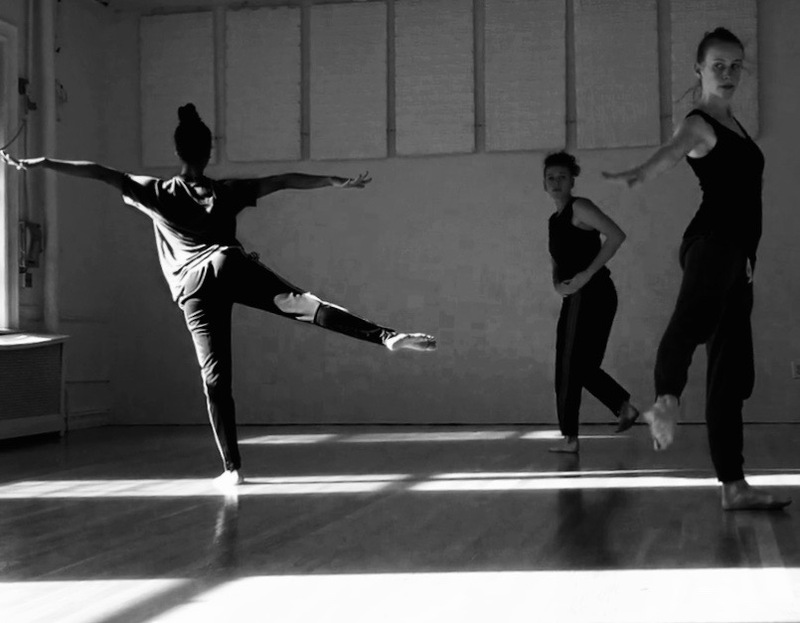 Dancers juxtapose intimacy and violence, performative virtuosity and self-destruction, underscoring the relationships between narrative and abstraction, meaning and chaos.